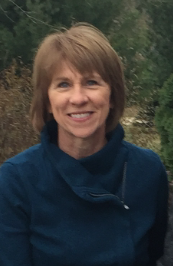 As a "regular" at the DAHLC, Jane is no stranger to setting personal health and wellness goals. However, she works in a fast paced and challenging job, which can be stressful at times. She realized that this stress was increasingly encroaching on her life and causing more unhealthy behaviors to surface. Consequently, after hearing her friends talking about the SMART (stress management and resiliency training) program, based on Dr. Sood's book, Jane took action and signed up as well. This program explores how your life can be changed by implementing the principles of gratitude, acceptance, forgiveness and more. Jane admits that the biggest obstacles in adhering to the program were making the time for it as well as having to nix old habits. She realized that it takes time and focus to make any kind of change. Once she started the program, Jane was all in and made it her priority to attend each week's session. She states, "Contrary to many changes I’ve made in my life, this change involved slowing down versus speeding up. However, the time commitment is small considering the benefits. The power of old habits was strong for me, especially since my old habits weren’t so terrible – a little extra snacking, a little less sleep, a little extra work at night, a little negative thinking—but the net effect was a pattern that wasn’t working for me anymore." Jane makes an effort each day to intentionally stop and be more mindful and grateful for the little things. She used the skills she learned in the program in her daily life and, thereby, started shifting her perspective. This program along with Jane's positive upbringing has helped her maintain this perspective. "As a nurse, I understand that there are many facets to health and wellness. I found that I wasn’t paying attention to all the facets—mind, body and spirit. Several years ago I worked with a Wellness Coach who helped me create a plan. It reminded me that wellness is so much bigger than my workouts and diet. The SMART Program built on the idea that a good physical workout relieves some stress but a good mindfulness practice takes stress management to the next level." When asked what advice Jane would give someone in her earlier shoes, she recommends starting small and staying positive. Be kind to yourself and be proud of yourself each step that you take. "The SMART Program took my health and wellness to the next level by teaching me practical things that make such a difference in my outlook. In my daily routine, I regularly look for novelty, nature and gratitude around me. Some mornings as I am leaving the Dan Abraham Healthy Living Center, I slow down a pace or two and read the posters on the 12 Habits of Highly Healthy People. I find myself paying most attention to the ones related to stress management as a reminder. When I walk through the Gonda building, I often take the stairs below the glass sculptures just because they are beautiful and they give me a quick, easy mental break. Health and wellness is bigger than the physical aspects." What an encouraging message for us all. Thank you, Jane! If you can relate to Jane, learn more about our SMART Program or SMART Workshop. Stop by the front desk or call 266-4688 to sign up!